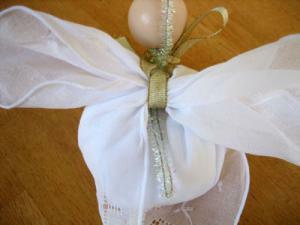 A cute little ornament to hang on your holiday tree! 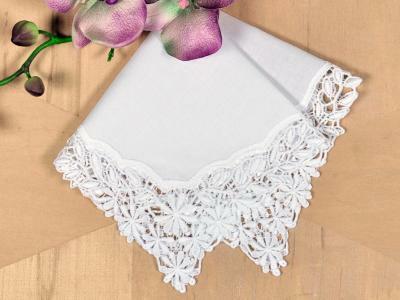 These darling angels made from of our white lace handkerchiefs or white embroidered handkerchiefs look great as festive decorations anywhere in the house. 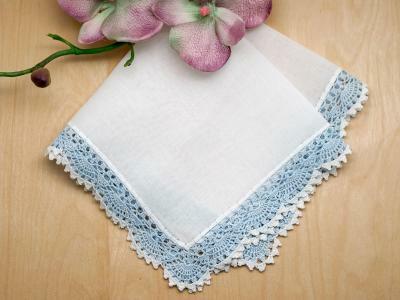 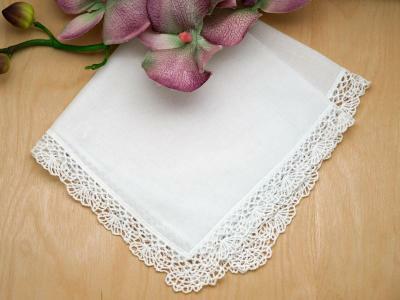 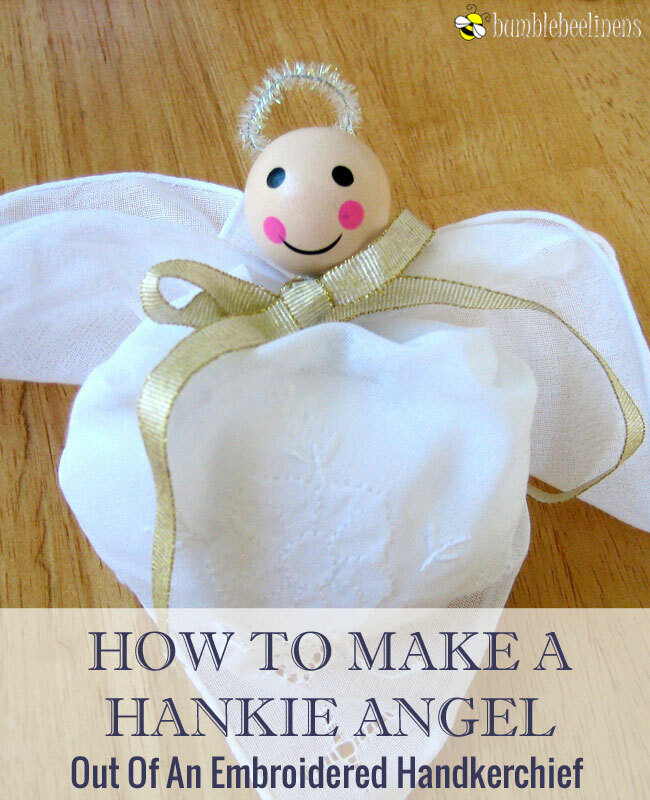 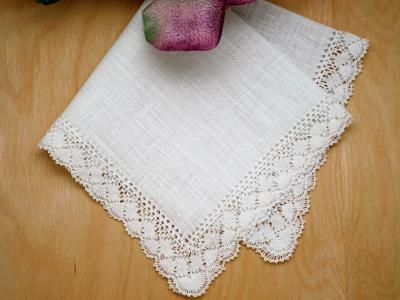 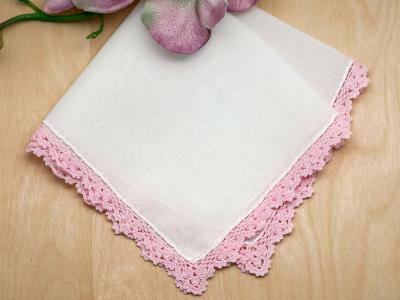 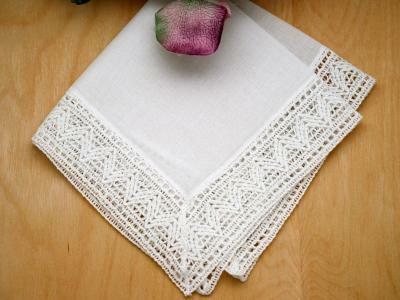 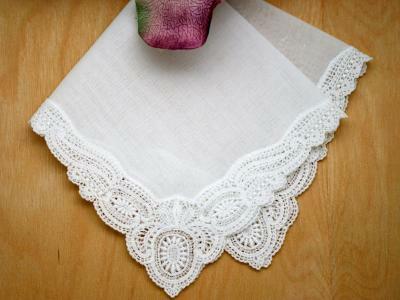 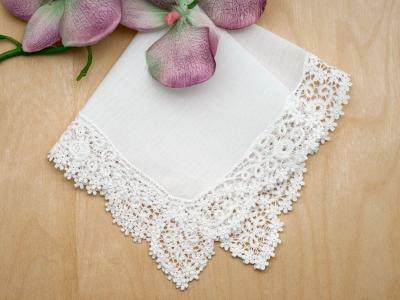 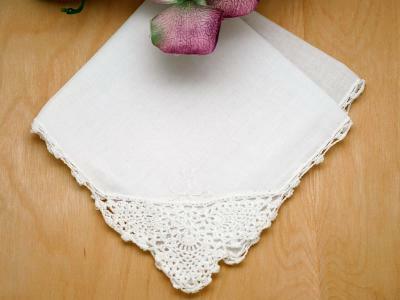 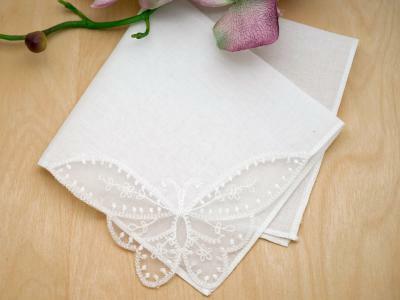 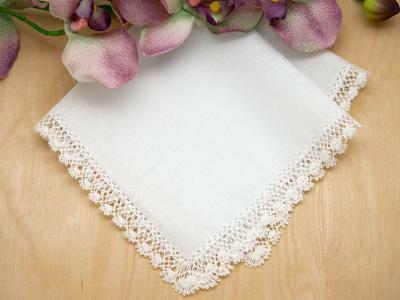 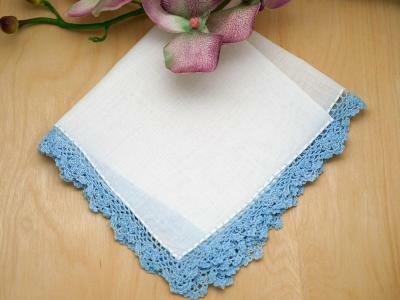 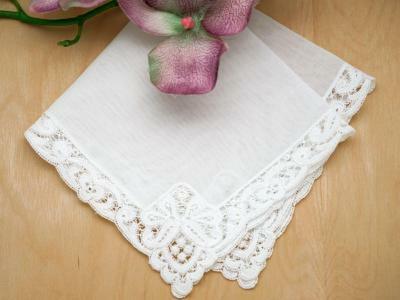 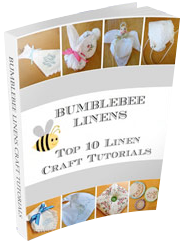 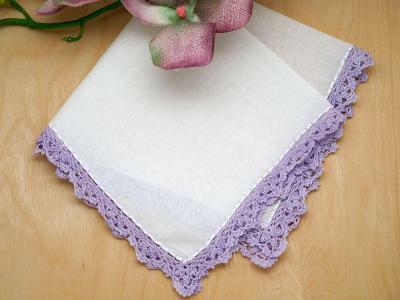 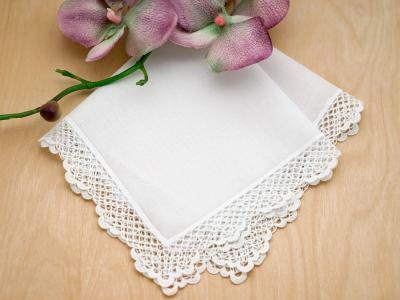 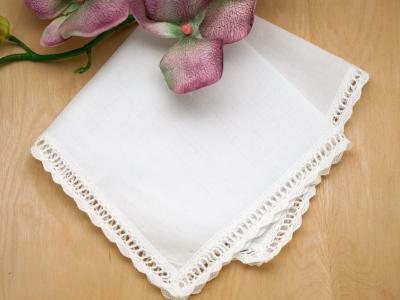 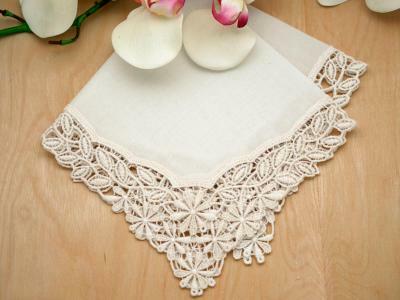 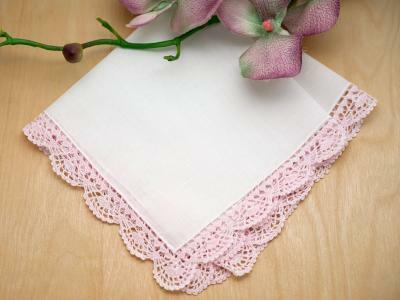 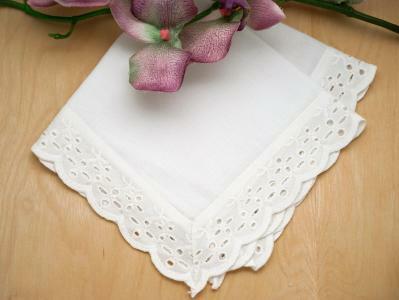 Making a hankie angel is easy to do and requires only a minimal amount of skill. 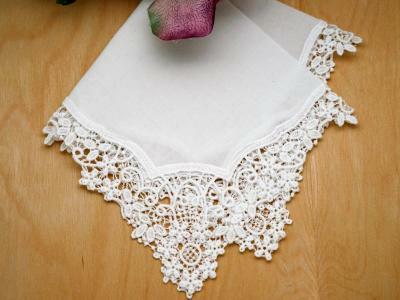 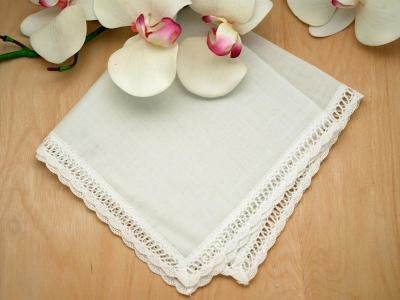 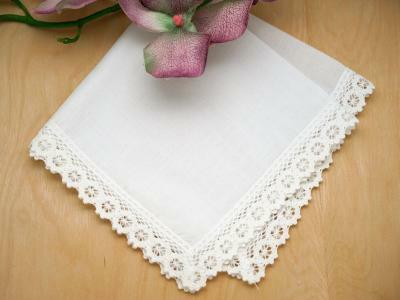 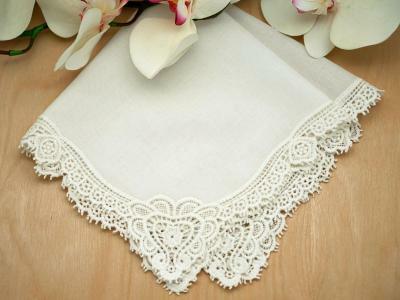 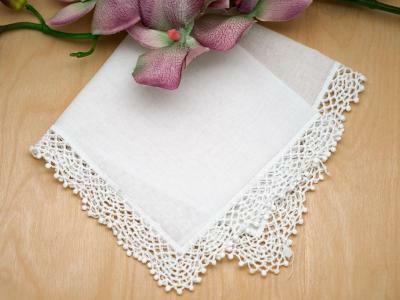 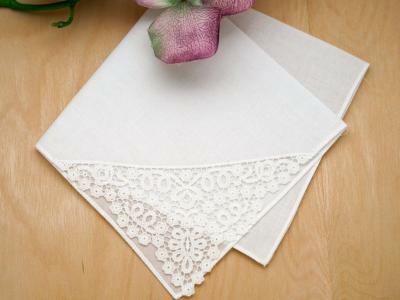 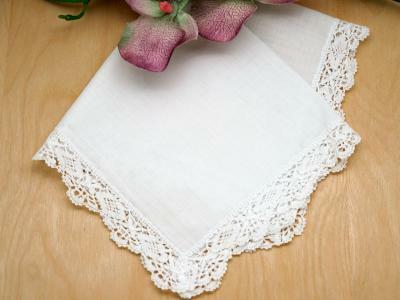 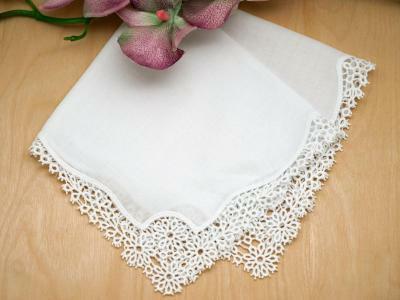 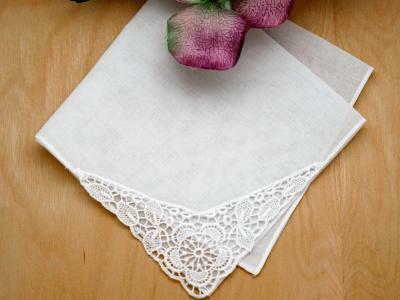 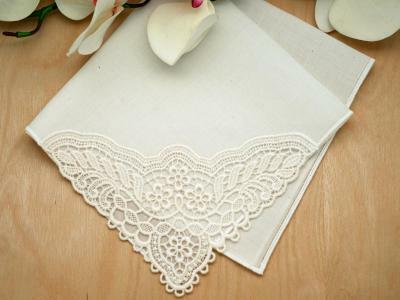 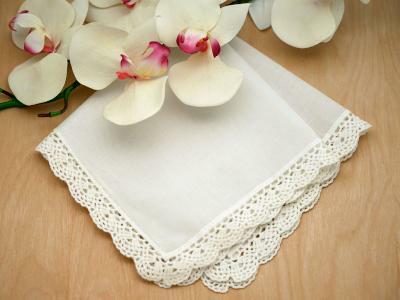 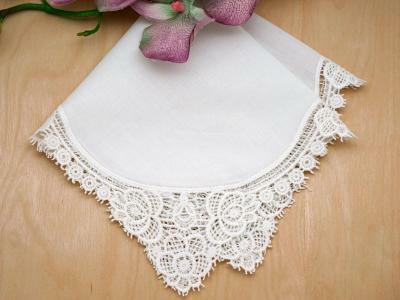 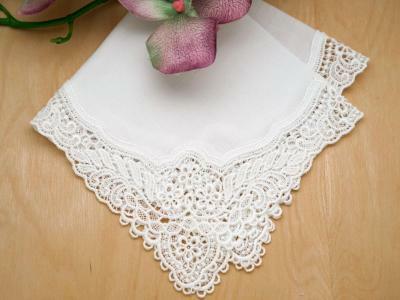 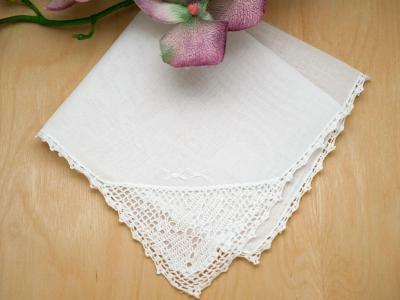 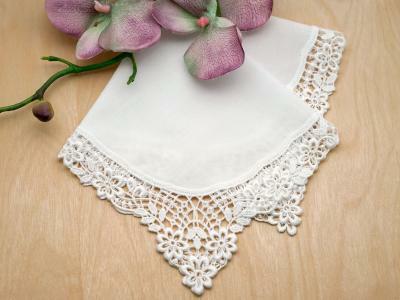 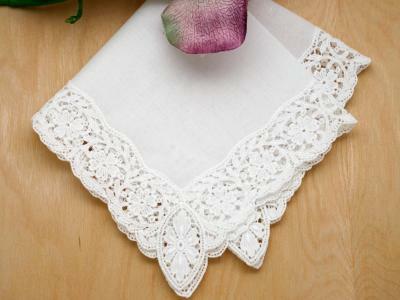 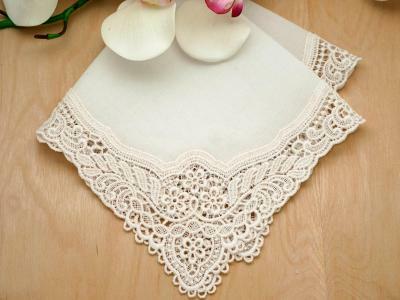 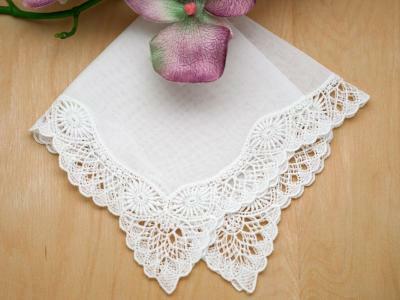 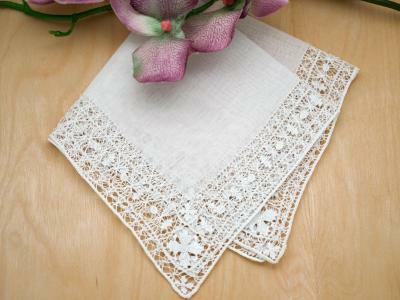 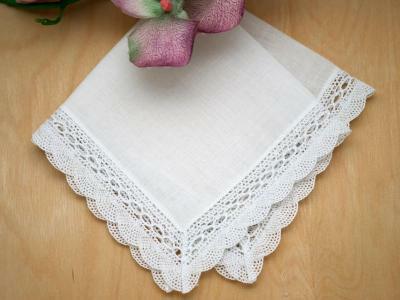 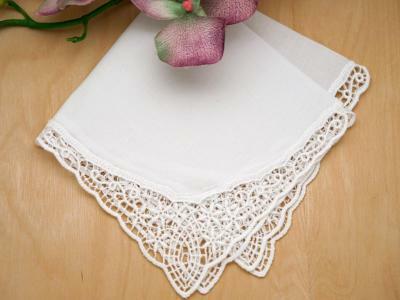 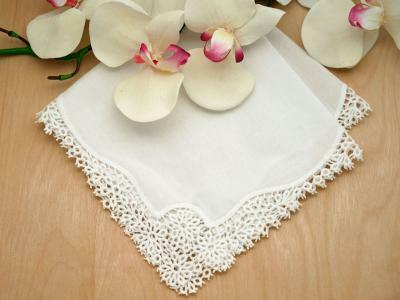 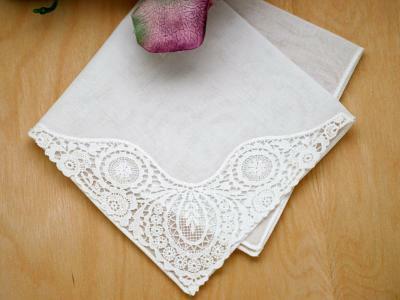 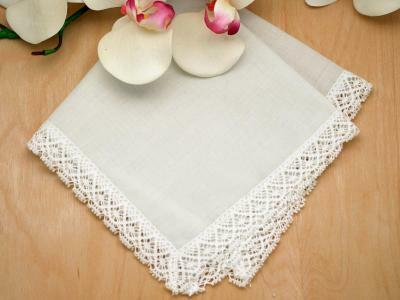 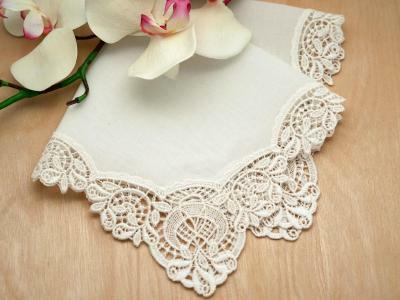 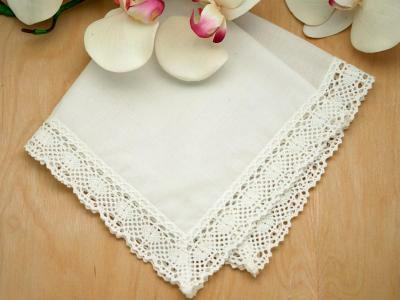 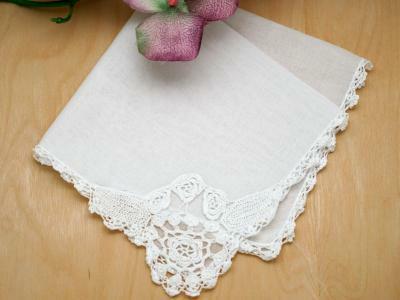 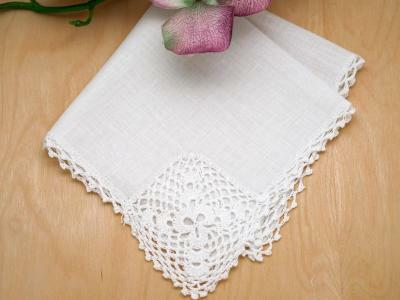 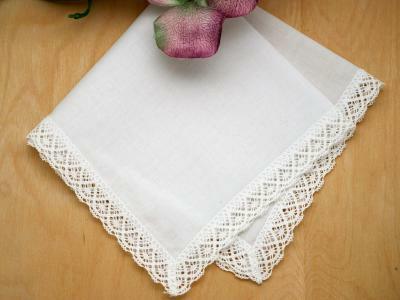 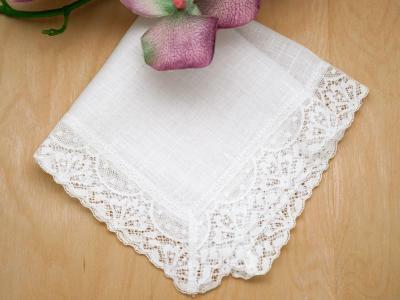 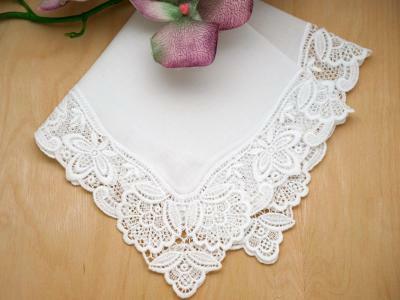 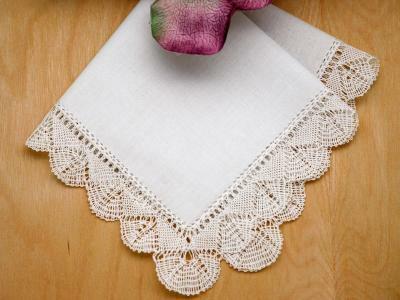 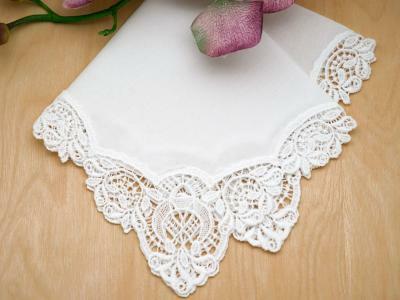 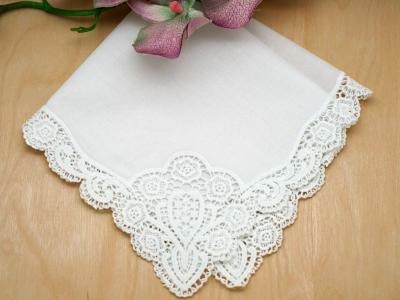 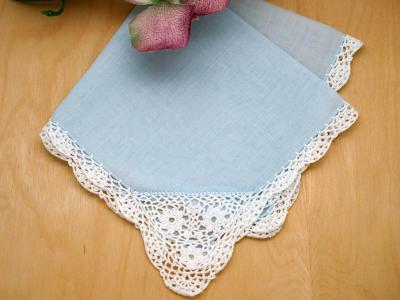 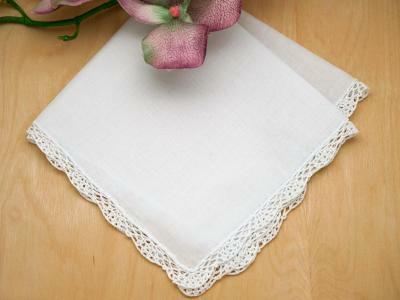 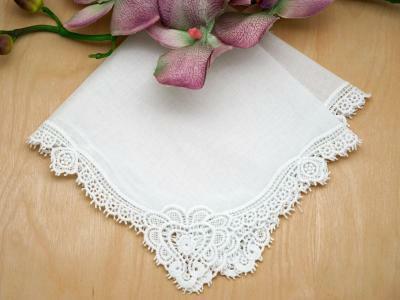 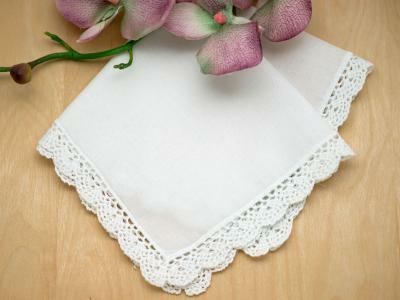 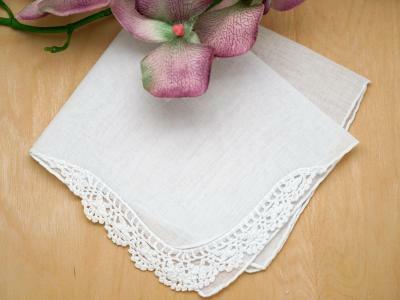 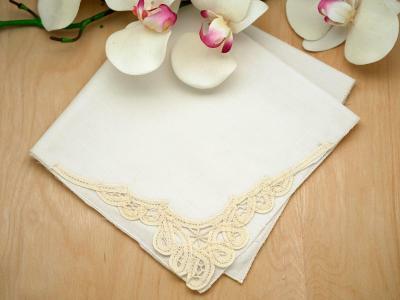 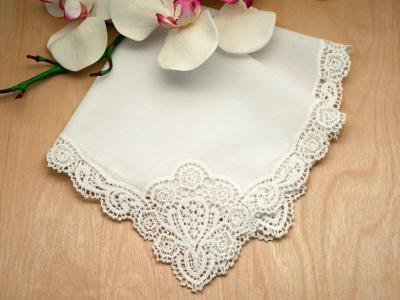 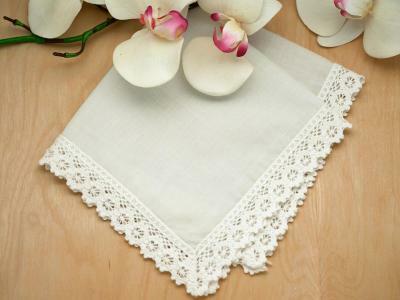 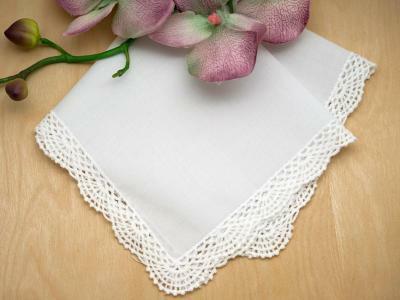 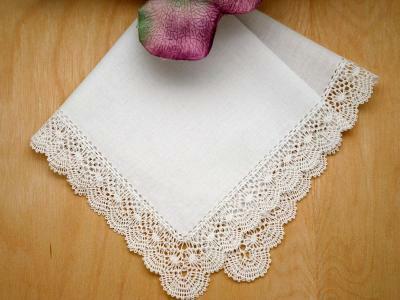 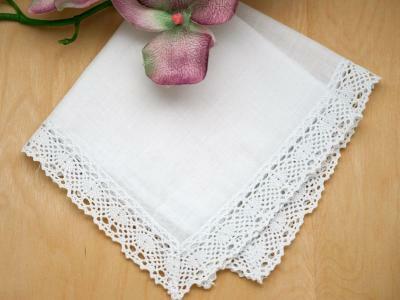 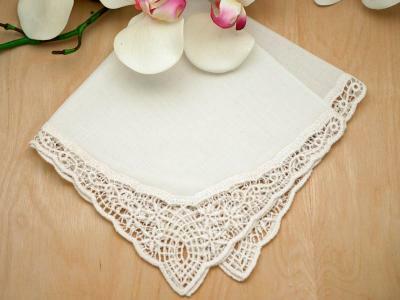 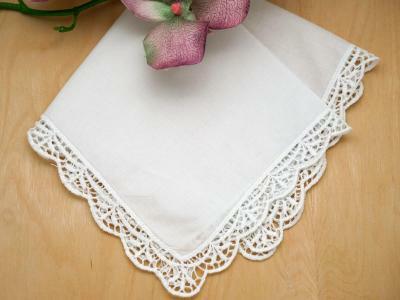 Iron a handkerchief flat and place the hankie with the embroidery facing down and away from you. 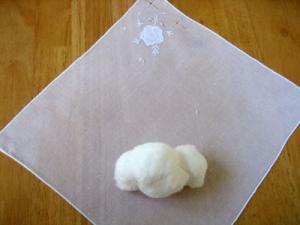 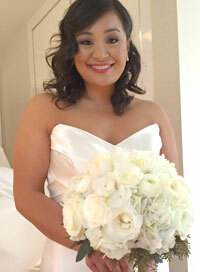 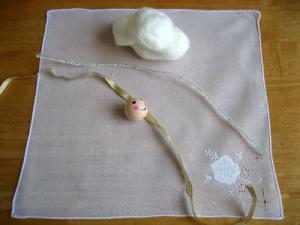 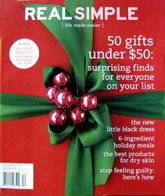 Place the cotton balls near the bottom of the handkerchief. 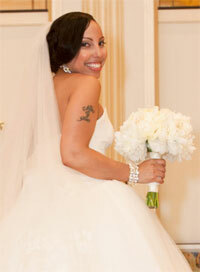 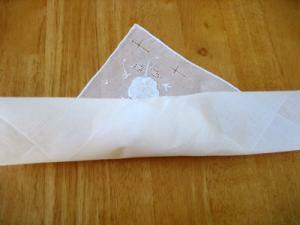 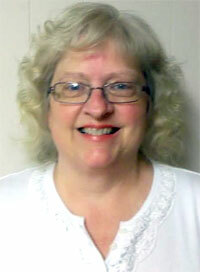 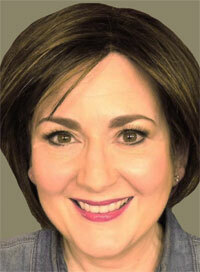 Roll the handkerchief up towards the top of the handkerchief, leaving a small corner loose. 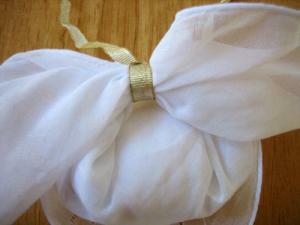 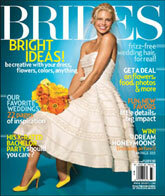 Tie a ribbon in the center of where the handkerchiefs ends meet. 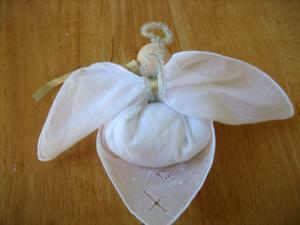 You have now created the angel wings. 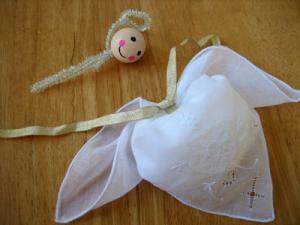 Stick the angel head (directions below) between the angel wings with the head pointing towards the front of the angel. 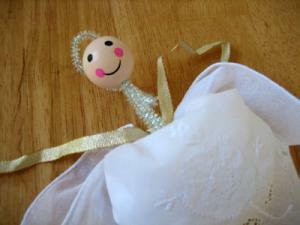 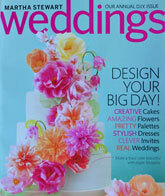 Now tie the ribbon over the pipe cleaner and below the hankie head to attach the head to the angel body. 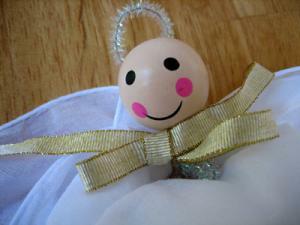 Turn the angel around and bend the pipe cleaner up to make a U shape. 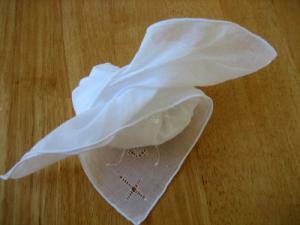 Congratulations, you have just made a hankie angel.